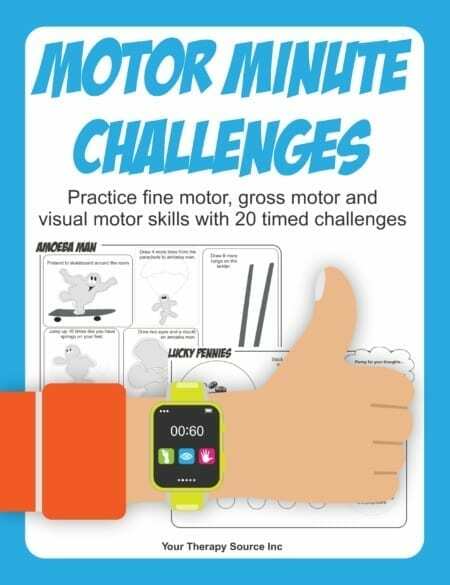 Check out these activities to encourage fine motor skills, eye hand coordination and finger strengthening. There is slight resistance when putting the chips into slots in the pool noodles and a little resistance when pulling the chips out of the pool noodle parts. Cut the pool noodle part in half lengthwise. An adult should use a sharp knife to cut slits in the pool noodle. 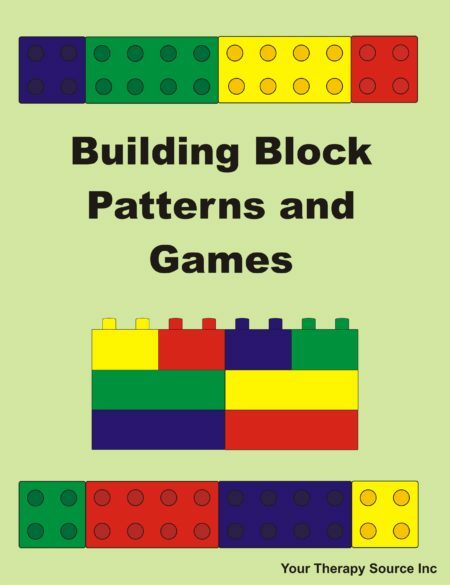 The child can place the colored chips in a pattern into the slots. 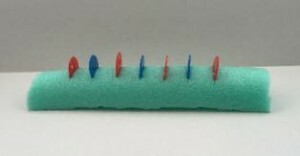 An adult should use a sharp knife to cut slots into the pool noodle parts. Draw a line over the slots so the child can see where to put the colored chips. The child can use colored chips to connect the parts to create a sculpture. 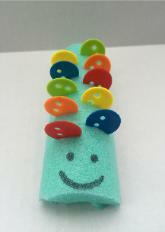 Draw eyes and a smile on pool noodle parts. An adult can cut two slots on the top. Put chips in the make animal ears! Cut a pool noodle in half lengthwise. 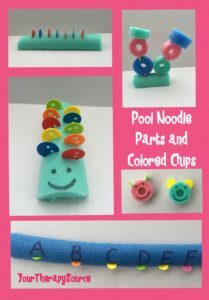 Write the letters on the alphabet along the pool noodle. Cut slots below each letter. 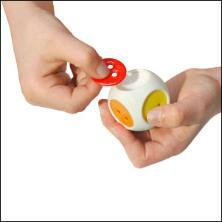 Call out a letter or a word and the child can put the chip in the correct letter.